I partook in a workshop at Light Grey Art Lab this weekend led by Victoria Ying and Mike Yamada. It was a great time, highly informative and inspirational. 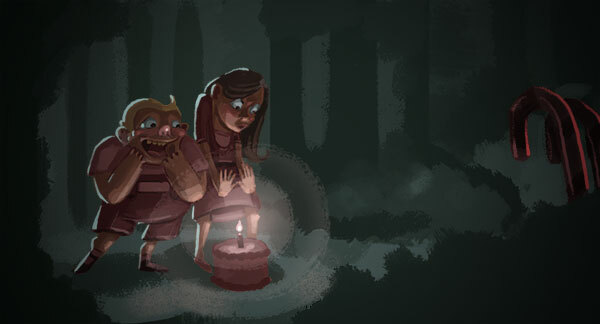 This is the thing I made for the in-class assignment, making a little character scene of Hansel and Gretel. Nothing like the warm glow of a birthday cake candle to keep you warm in the woods.